Transfer of Property Act, 1882, S.54–Sale Deed-Execution of–Suit for partition—Ancestral property-Contention that sale deed executed by her father ‘D’ ‘was obtained by fraud as he was not keeping good health-Held; Sub-Registrar, who had registered the documents stated that the sale deed was executed by ‘D’ after he had explained to the parties about contents of sale deed-Attesting witnesses nowhere stated that ‘D’ was not in good state of mind at time of execution—No medical evidence has been produced in support of ill health of testator—Appeal dismissed. Comments Off on Transfer of Property Act, 1882, S.54–Sale Deed-Execution of–Suit for partition—Ancestral property-Contention that sale deed executed by her father ‘D’ ‘was obtained by fraud as he was not keeping good health-Held; Sub-Registrar, who had registered the documents stated that the sale deed was executed by ‘D’ after he had explained to the parties about contents of sale deed-Attesting witnesses nowhere stated that ‘D’ was not in good state of mind at time of execution—No medical evidence has been produced in support of ill health of testator—Appeal dismissed. Ancestral property–For a property being ancestral, it has to be inherited by male Hindu by three immediate paternal ancestors i.e. father, father’s father and father’s father’s father. 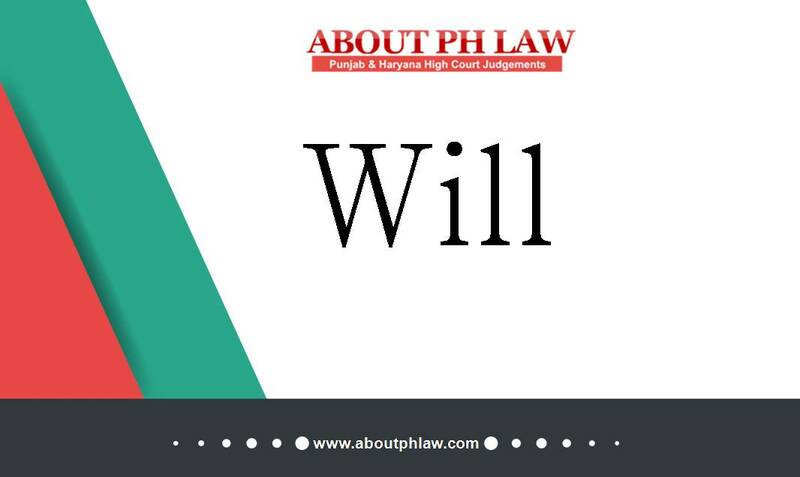 (B) Succession Act, 1925, S.63–Will–Signature of beneficiary-Merely because two of the beneficiaries of the Will are signatories to the same would not ipso facto leave the Will illegal nor can it be said to have been executed without a free and open mind. 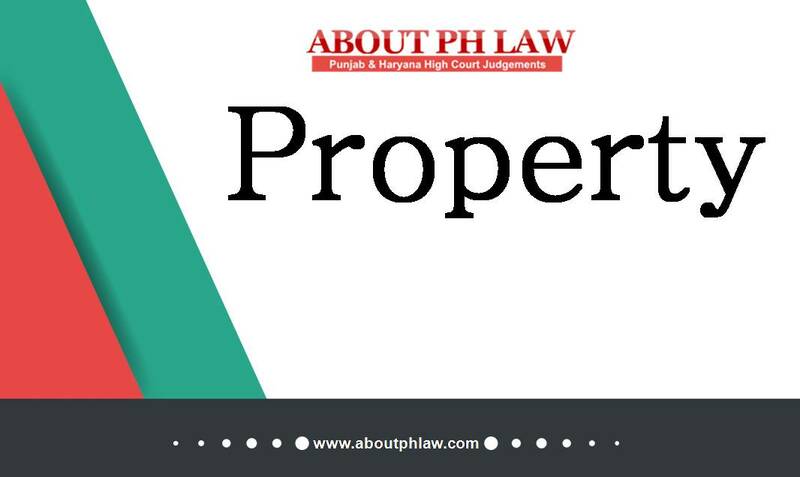 Comments Off on Ancestral property–For a property being ancestral, it has to be inherited by male Hindu by three immediate paternal ancestors i.e. father, father’s father and father’s father’s father. (B) Succession Act, 1925, S.63–Will–Signature of beneficiary-Merely because two of the beneficiaries of the Will are signatories to the same would not ipso facto leave the Will illegal nor can it be said to have been executed without a free and open mind. Ancestral Property—For the purpose of creating a right by birth in the ancestral property, a person has to be 4th generation in lineage. Comments Off on Ancestral Property—For the purpose of creating a right by birth in the ancestral property, a person has to be 4th generation in lineage.